Qigong is a combination of two words, "qi,” meaning energy, and “gong,” meaning work or cultivation. So qigong can be translated roughly as the cultivation of energy. Qigong practice is divided into three categories: jung, qi, and shin, which translate to body, mind, and spirit. In this case, “mind” is synonymous with emotion, energy, and the feeling component of our human nature. “Mind,” as we use the word in this context, should not be confused with the “thinking” mind. “Spirit,” is synonymous with our thoughts, intentions, and the mental capacities of focus, concentration, creativity, and imagination. 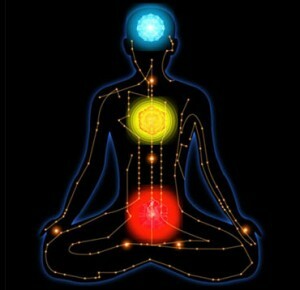 The energies of our body, mind, and spirit are stored within three general locations. The body energy is centered in the lower abdomen, in what is called the lower dahn-jon, or, “sea of energy.” Our emotional energy is stored in the center of the chest, in the middle dahn-jon. Our spirit energy is stored in the center of the brain, or the upper dahn-jon. The aim of qigong practice is to integrate and harmonize the energies of body, mind, and spirit. 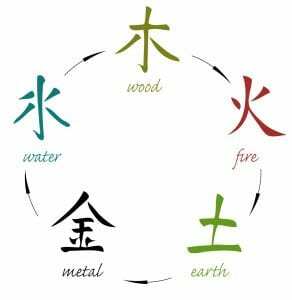 The affirmation aspect focuses primarily on spiritual qigong, by practicing with the principles of the five elements. The qigong aspect focuses on the physical and energetic practices primarily. The importance of including a physical component in your qigong practice can not be understated. The physical body is often referred to as the “house” of our mind and spirit. In order to cultivate the energy of our mind and spirit, we must enter the house! Qigong emphasizes abdominal breathing in order to establish a grounded connection to our bodies, and to help the body function at an optimal level. Most qigong exercises involve coordinated breathing with each movement of a form. Our energy is governed by our spirit’s faculty of concentration. Whatever we concentrate upon, energy flows there, and where energy flows, blood (or the body) follows and matter forms. Five-element qigong utilizes the body by incorporating specific physical movements which stimulate the five yin and yang internal organ meridians. The mind is utilized when we practice feeling the energy along the specific meridians stimulated by the qigong movements. The more we tune into our senses, the more we can harmonize the subtle flow of energy through the meridians. We utilize our spirit by setting the proper intention, and by gaining a continually deeper understanding of qigong principles, and of the characteristics associated with each element. Ultimately, the practice of five-element qigong is an integration of the body, mind, and spirit, each supporting the other so that all three can blossom in full health. A key component of qigong practice is keeping the spirit within the body, or in other words, not letting our attention wander from our body, and the present moment. When our spirit wanders, our energy follows, leaving the body feeling depleted. When our spirit stays grounded in the body, our body stays invigorated. The spiritual (affirmation) practices help cleanse our body of negative emotional and spiritual energy. As we become clearer, our energy can settle down to join with the body. Negative emotions and thoughts create tension and blockage within the body, but a clear mind and spirit create a feeling of relaxation, openness, and vitality. As we cultivate the vitality within our body, our mind and spirit become ever more grounded, and awake to the present moment. Clear awareness of the present is the only way to transcend ourselves, and to connect with the pure benevolent energy of the universe, which is the source of true wisdom, or enlightenment.